Our Kenyan-born, secret Muslim president has apparently cooked up a sneaky plot to subvert the 22nd Amendment. Barack Hussein Obama is hatching a secret plot to pull off the ultimate power grab: securing himself a third term in the White House. At least that’s the narrative being spun by right-wing conspiracy theorists, who seem to believe Obama is modeling his presidency after fictional Nixon in Watchmen. Among the main proponents of this theory—which comes in several different flavors—is Stansberry & Associates Investment Research, a publishing firm that hawks financial advice—and has a history of promoting dubious claims. 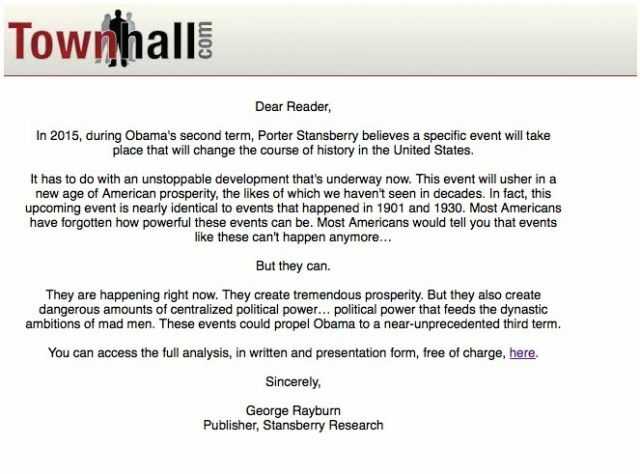 Even before the president won reelection, the company began blasting out emails to subscribers of various conservative newsletters, warning of the coming third term of Obama. The emails went out as paid advertisements through the right-leaning Townhall.com, Newsmax, Human Events, and Gingrich Marketplace (a spokesman for Newt Gingrich and the vice president of Human Events both claimed this email blast was a mistake). These messages are accompanied by a slideshow titled “The Third Term — INSIDE: The Secret Plan to Retain Power Through 2020” and narrated by Stansberry & Associates founder Frank Porter Stansberry. It discusses how Obama will become American history’s greatest tyrant, responsible for implementing “the most terrifying socialist policies” the country has ever seen. “The Third Term” also highlights the company’s supposed track record of correctly predicting the future, and invites readers to check out their trading and investing services and other pricey products. 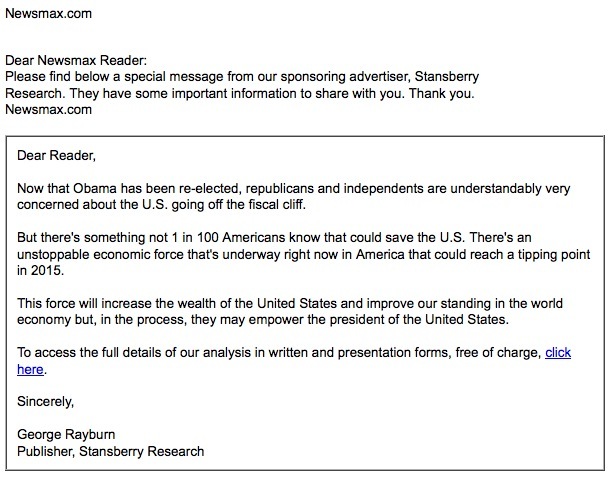 Stansberry has something of a checkered past when it comes the claims appearing in his newsletters and online videos. 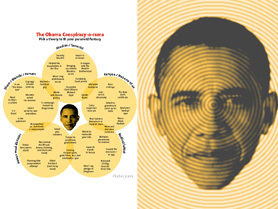 In 2010, he released a similar slideshow called “End of America” (77 minutes long), in which he predicted waves of violence and tumult across the United States and the impending implosion of the American economy—an argument that contradicts the premise of “The Third Term.” In 2003, the SEC filed a complaint against him for pushing false information via his financial newsletter. In 2007, Stansberry (and his investment firm, then called Pirate Investor) was ordered by a federal court to pay $1.5 million in civil penalties and restitution. Stansberry Research did not respond to a request for comment. The third-term theory isn’t limited to the far right: Technorati writer Sreedhar Pillai has also mused about a possible third term, and Faheem Younus at the Washington Post‘s faith blog posted on why war with Iran could grant Obama a Roosevelt-like run. President Obama—who taught constitutional law at the University of Chicago for more than a decade—likely knows this already. Technically, it wouldn’t be unprecedented for an American politician to launch an effort to lengthen a term, or seek an extra four years. Early in President Reagan’s second term, congressional allies attempted to find support for amending the Constitution to give him a chance to potentially serve a third term. And when Nixon was in office, there was a proposal to expand presidential terms to six years. Both initiatives were quickly abandoned.